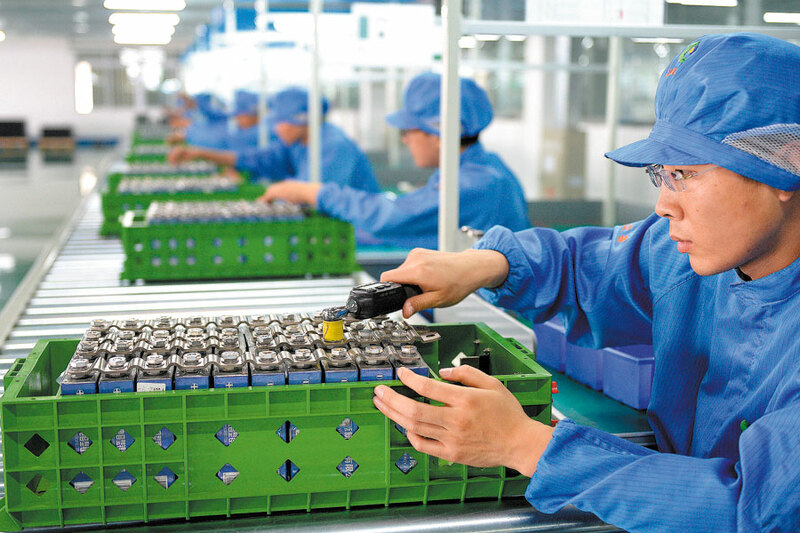 In the draft, the ministry encouraged companies to perfect top-level policy design of lithium-ion battery and to push for the automation of production procedures. "(The move) aims to help firms in the sector to reduce costs and shorten the production cycle. It also aims to improve energy utilization efficiency," said the draft. An industry expert from the China Center for Information Industry Development, who declined to disclose his name, said that the draft mainly aims to promote the transformation and upgrading of the lithium-ion battery sector, which will be a "critical" factor in new energy vehicle development. "Like other industries, the sector needs to be upgraded to a high-quality and healthier phase to tap into the higher demand from new energy sectors, especially from NEVs," he said. The ministry also announced the third batch of companies that meet the national lithium-ion battery standard. Shanghai BYD Co Ltd and Qinhuangdao Xinchi Photoelectricity Technology Co Ltd are among those on the list. Lithium-ion batteries, with a greater life span and power density, are the most favorable power batteries. Han Xiaoping, an energy expert and also head of energy information website China5e, noted that solving the problem of lithium-ion batteries marks a big step in popularizing new energy vehicles. "China has already led the world in the production of lithium-ion batteries. The growth momentum needs to be maintained through more innovative measures and a sound market environment," said Han. China manufactured more than 10 billion lithium-ion batteries in 2017, which was a 28 percent increase year-on-year. The figure is expected to reach 12.1 billion in 2018, a ministry report showed. The capacity of all lithium-ion plants in China is expected to increase to 107.5 GWh totally by 2020, said a report from Benchmark Mineral Intelligence, a price data collection and assessment company focusing on the lithium-ion battery supply chain. Han pointed out that recycling electric vehicle batteries will be another important task for the nation's battery sector. His words echo the top authorities' green drive. The ministry last July encouraged automakers to establish recycling service outlets and cooperate with battery producers, used-car dealers and scrap merchants to build regional recycling systems.